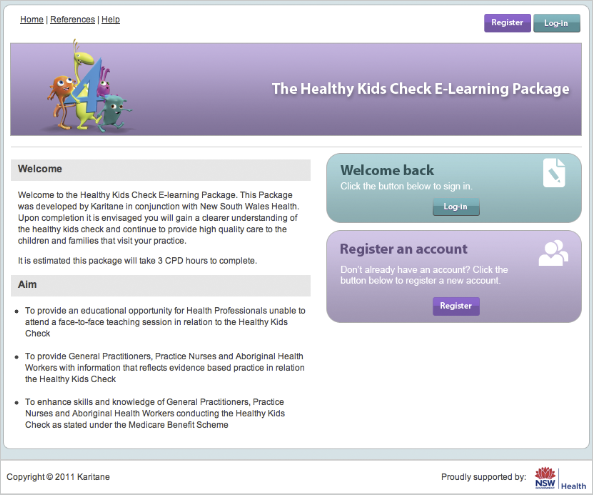 In association with Karitane and NSW Health, we launched the Healthy Kids Learning Check. This site was developed for physicians and industry specialists. It includes a log in and account system that remembers user and registers when they have finshed the package. The training includes a test component where the user has to select the correct answer before they can progress. Upon completion they recieved a personalised certificate.